Canadian artist turned the vast online collection into a serendipitous discovery machine. 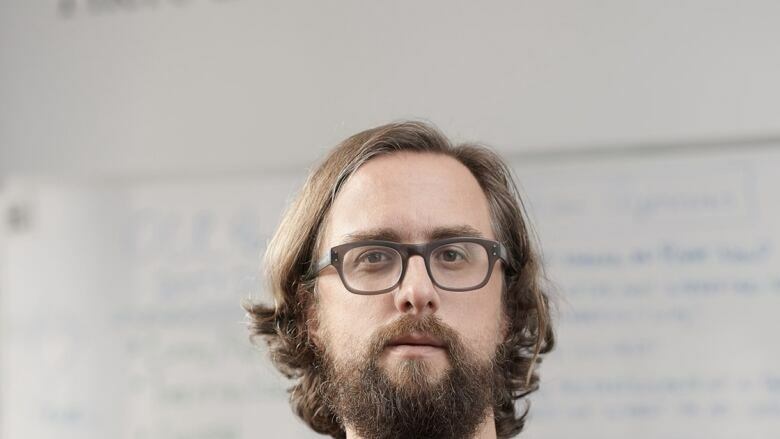 On November 8th, Canadian data artist, Jer Thorp, took over the Twitter feed of the US Library of Congress for several hours. Thorp is the Innovator-in-Residence at the Library of Congress, where he's charged with finding new ways to use and explore the massive online collection. There are hundreds of millions of archival materials in the library's digital collection, both in physical objects that have been scanned, and digital-only material. But Thorp thought visitors were losing the experience of stumbling upon unexpected things, usually associated with getting lost in the physical stacks of books. "We need to think about how digital...can engage with those ideas," Thorp told Spark host Nora Young. "What I was trying to push against was that this metaphor of being lost in the stacks - you're always lost in the stacks alone - but I know from my personal experience…[as a child]...it wasn't about being alone at all...it was actually a really social experience." Thorp used the hashtag #SerendipityRun. Librarian of Congress, Carla Hayden, started by posting an image from the collection she found interesting, and the feed's followers found and posted related images they thought were neat. Thorp then retweeted the new images on the Libraries feed, and solicited more related images. And so on. "One of the things I found that really works to promote serendipity is other people," Thorp said. Beyond serendipity, Thorp's art practice often looks at humanizing data and empowering people with data. "This project, along with all my others, is trying to understand how data becomes a public resource in a real way," he said. Jer Thorp has a podcast about the Library of Congress. His book, Living In Data, will be published in 2020. The National Film Board. Stream movies for free! The Art Institute of Chicago's public domain online collection!